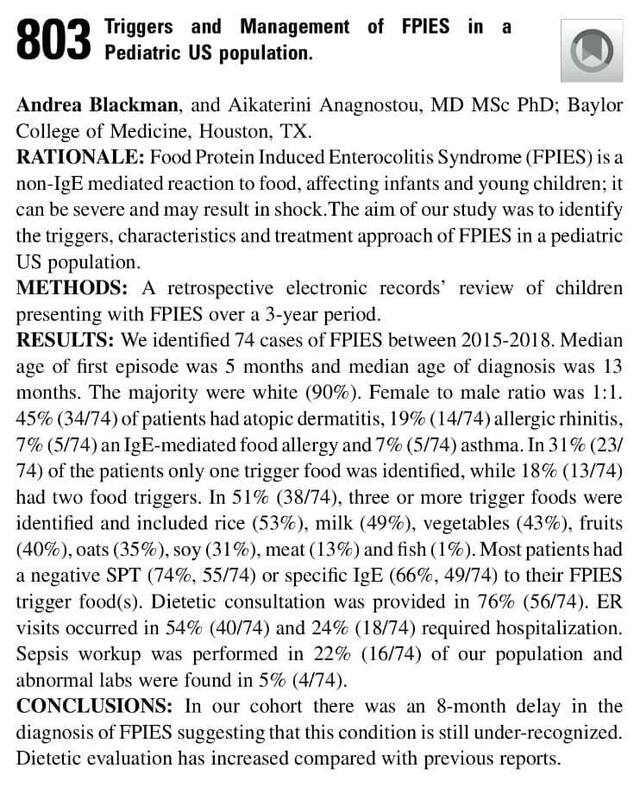 In late February, the International FPIES Association (IFPIES) attended and exhibited at our seventh Annual Meeting of the American Academy of Allergy, Asthma, and Immunology (AAAAI). 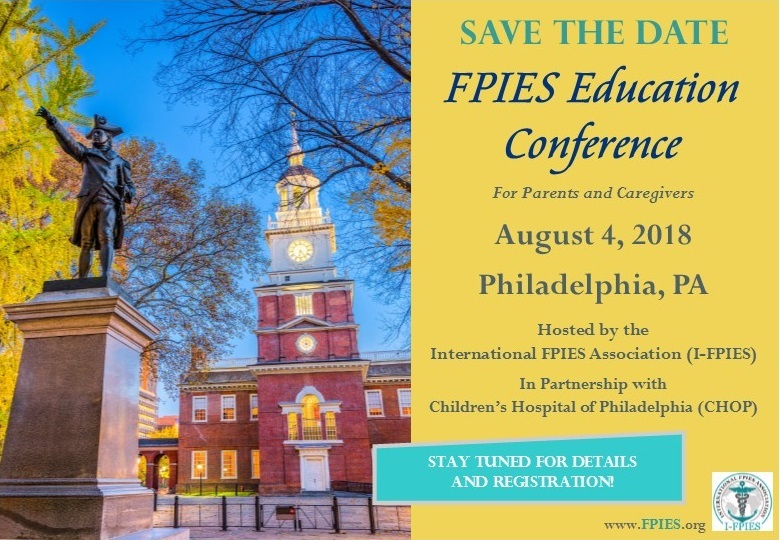 We’re pleased to bring you all the FPIES-related updates from the conference, which brings together thousands of allergists, gastroenterologists, immunologists, allied health and related healthcare professionals from across the globe for four full days of educational offerings on a variety of topics. 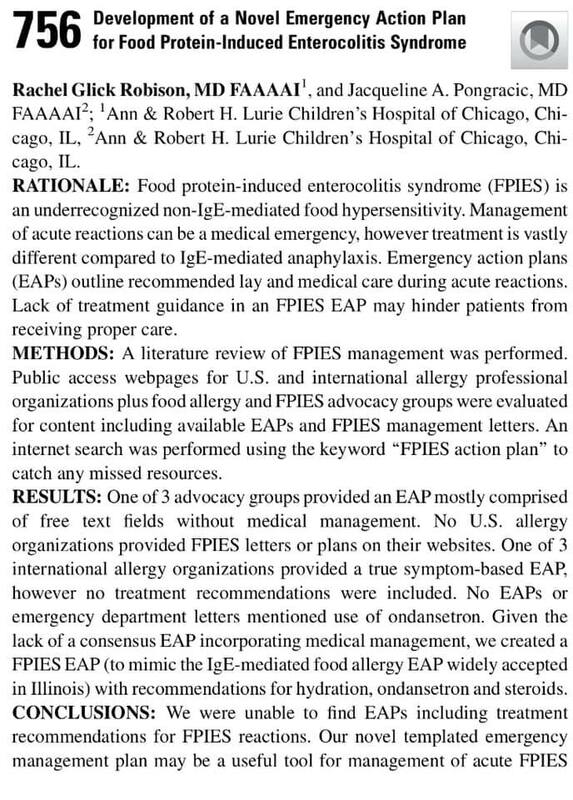 Dr. Lisa Bartnikas discussed the “Psychosocial Impact of Food Allergy” during the AAAAI Adverse Reactions to Food Committee. 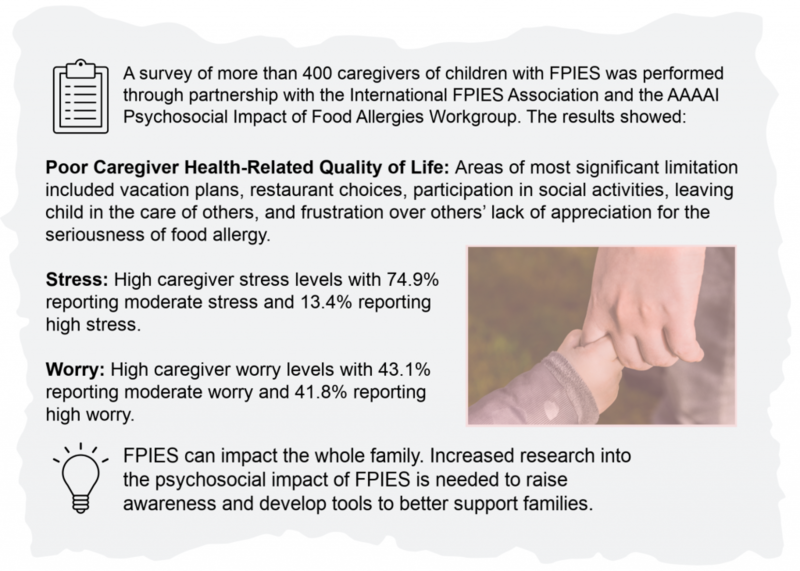 She included data on gathered from our 2018 FPIES Education Conference about the burdens of FPIES for patients and caregivers. 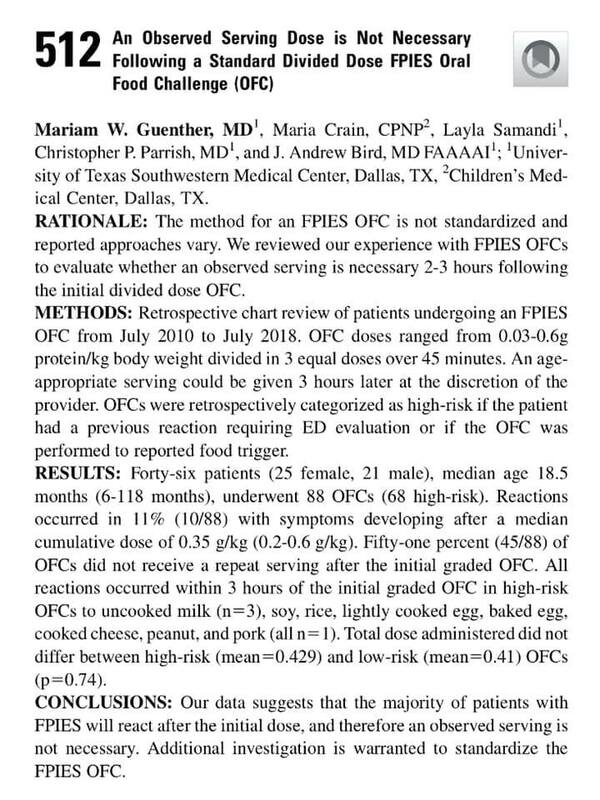 In addition, IFPIES Medical Advisor Dr. Andrew Bird was named the new chair of the Adverse Reactions to Food Committee, and two of his top priorities are advancing adult FPIES and standardizing oral food challenge for FPIES. 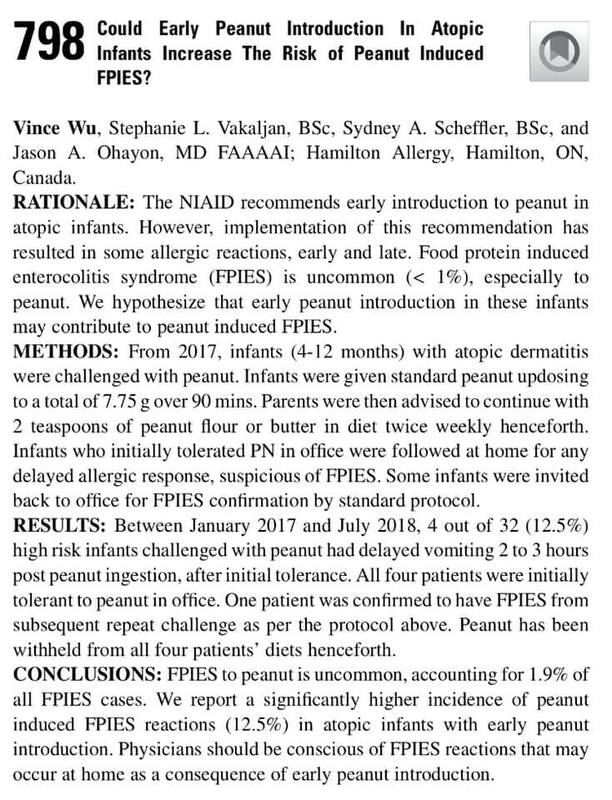 These are also two of the most talked about subjects at the IFPIES booth this year. 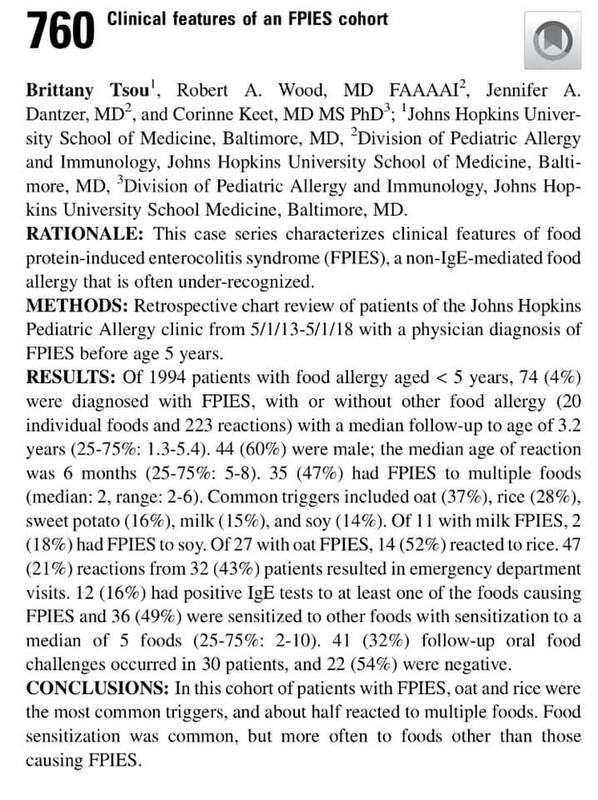 Abstracts on Food Protein-Induced Enterocolitis Syndrome were being shared throughout AAAAI 2019, including groundbreaking research led by IFPIES Medical Advisory Chair Dr. Anna Nowak-Wegrzyn establishing that FPIES is more common than previously thought. 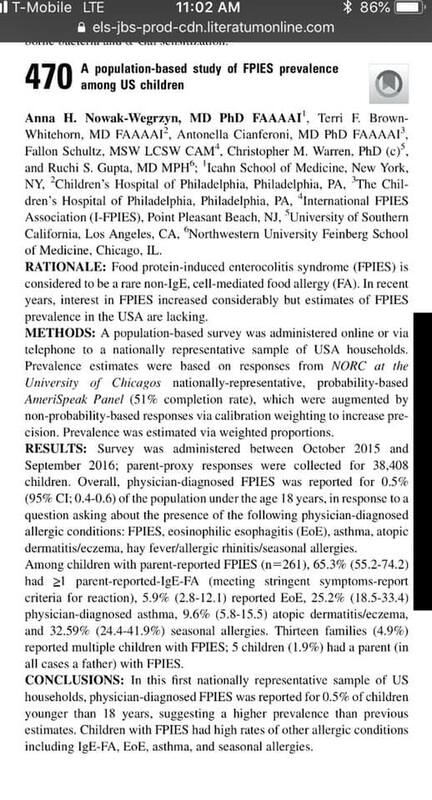 Preliminary results suggest that as many as one million individuals in the US live with FPIES. 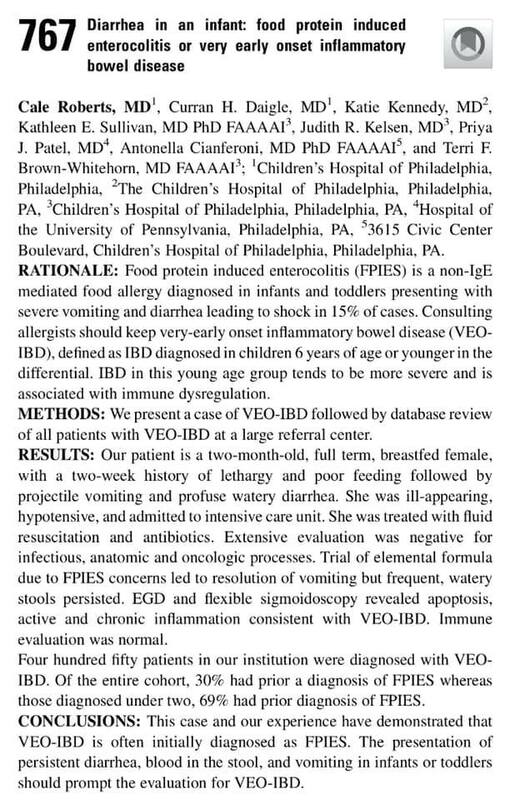 Learn about this and other abstracts in the gallery below. 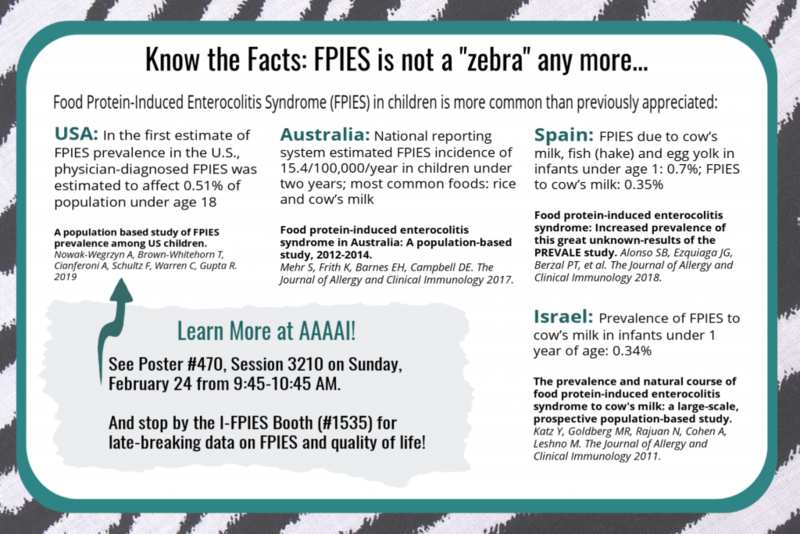 The International FPIES Association has had a steady stream of visitors at our AAAAI 2019 booth! 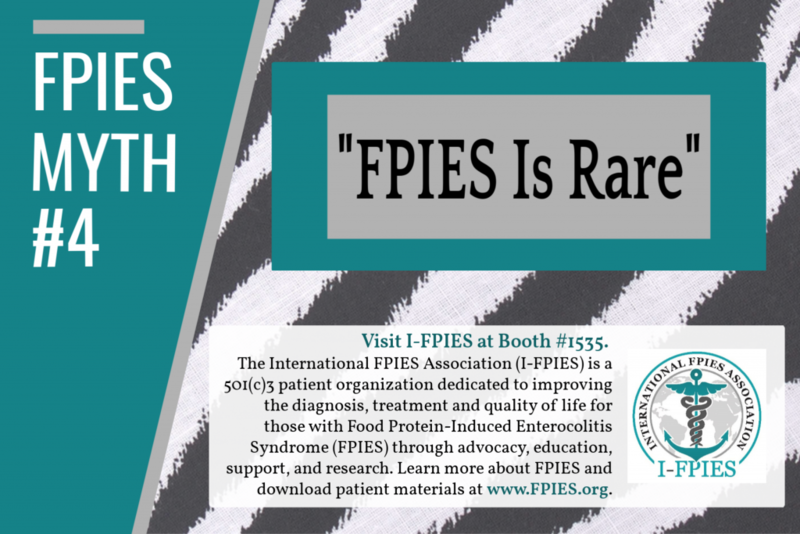 Attendees picked up materials to share with their patients and letting us know their experiences and challenges in diagnosing and managing FPIES. 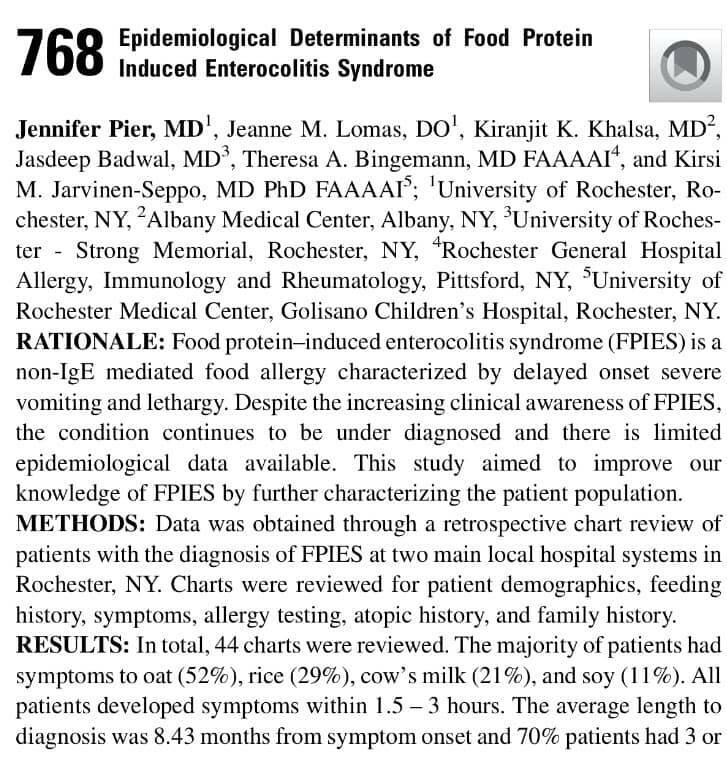 The AAAAI Annual Meeting may be over but the hard work to unlock the mysteries of FPIES continues. 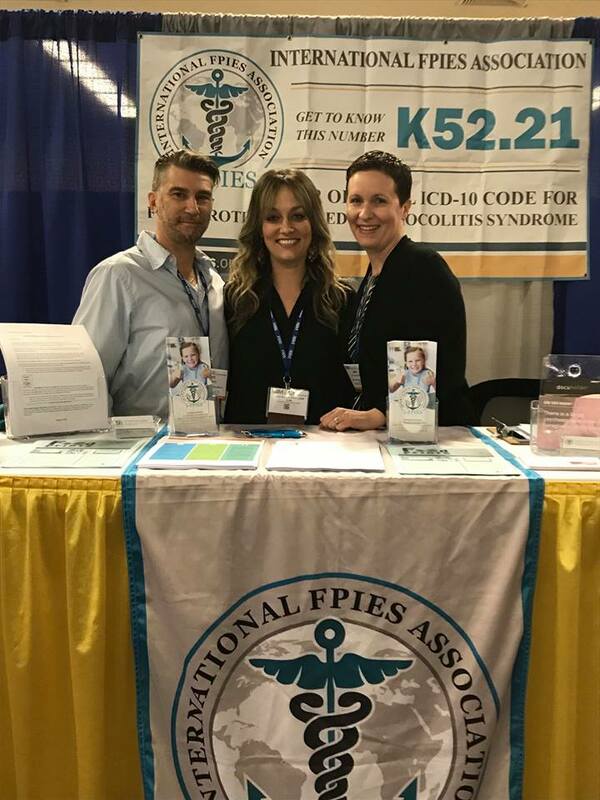 During the conference, IFPIES President Fallon Matney met with Dr. Alessandro Fiocchi to review upcoming data on IFPIES-funded genetic and pathophysiology studies underway in Rome and Philadelphia. 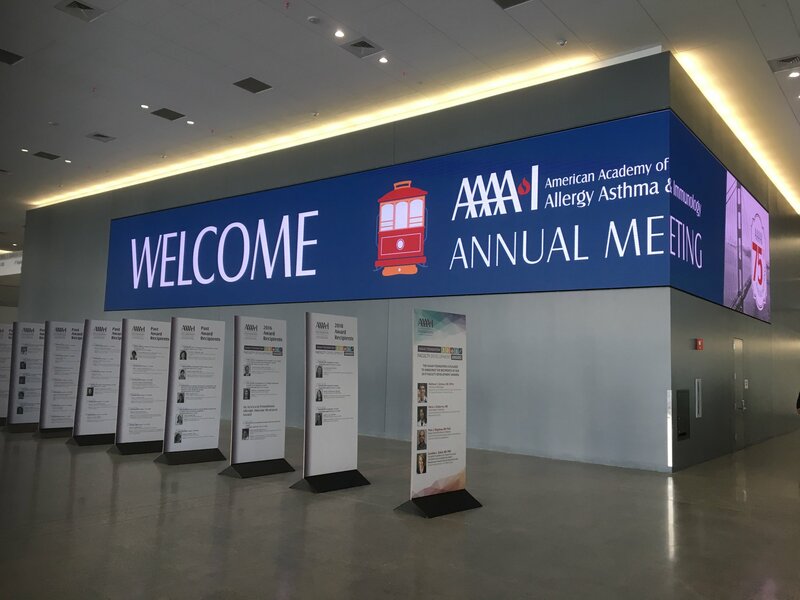 Stay tuned — we can’t wait to share the results! 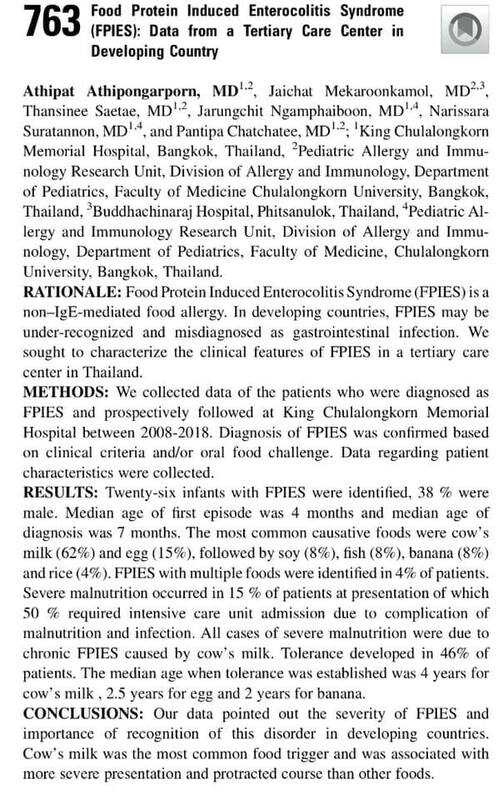 The generosity of the FPIES community is fueling this research. 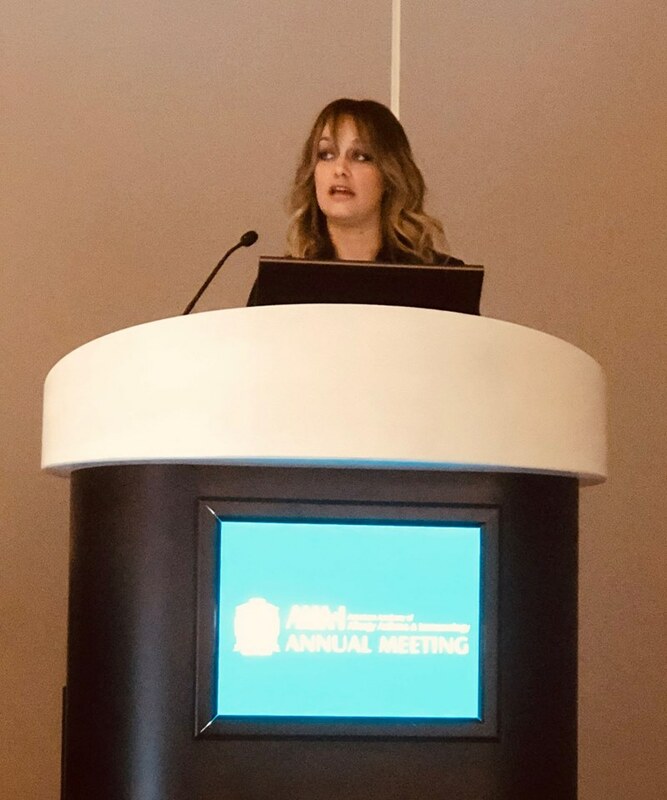 Interested in being part of the breakthrough? 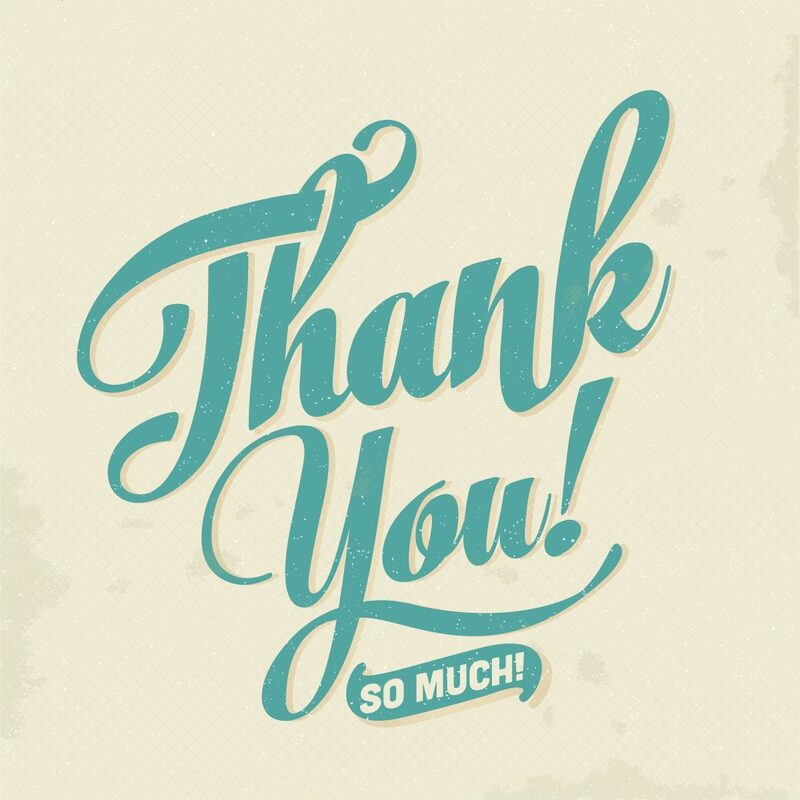 Your donation today helps researchers unlock tomorrow’s answers. 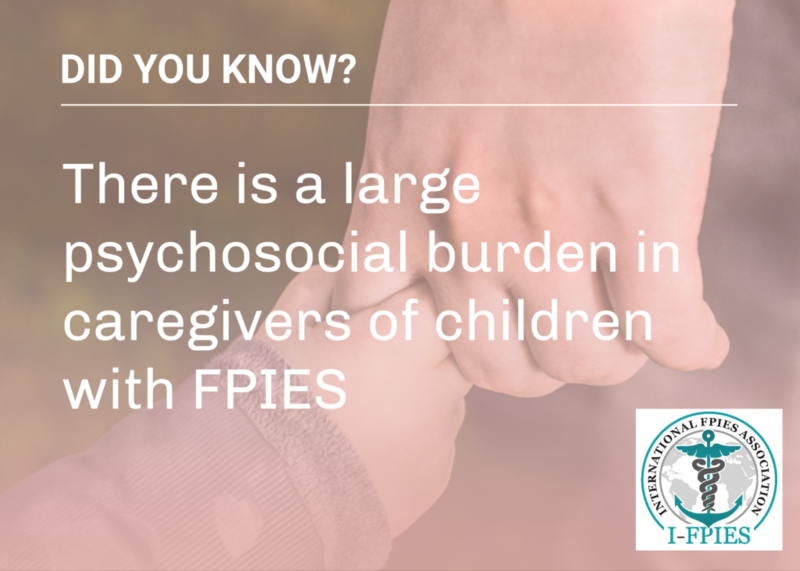 Your support means the world to FPIES patients and families.